When an ex-classmate suggested Sheraton Towers as the venue for a class reunion, we didn’t think twice about it ‘cos for a long time the hotel was quite well known for its afternoon teas. 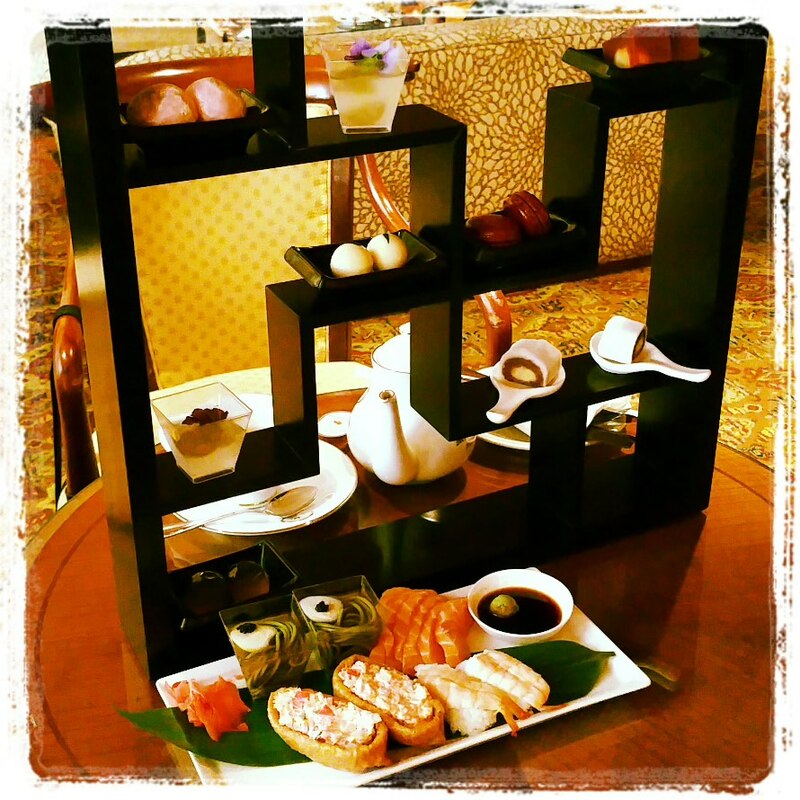 What we didn’t know was that besides a traditional English afternoon tea set (served on tiers), they now also have a quaint Japanese afternoon tea set (SGD39++, pictured above of two sets) which is actually more enticing! Must say it was quite an interesting and enjoyable turn from the usual English tea fare, with most of the items tasty and decent, and ingredients of the sushi and sashimi fresh. 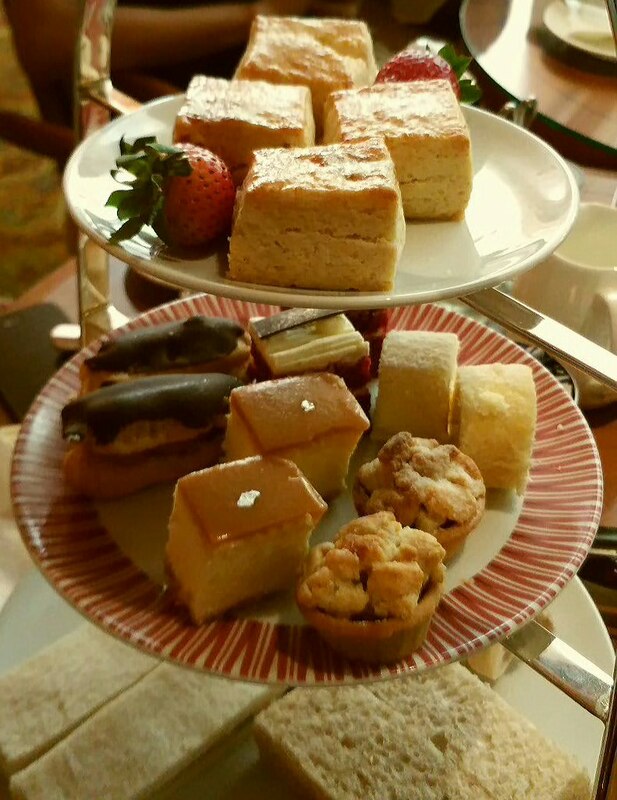 Beverages of choice not only include Japanese green tea and Chinese Jasmine tea but also the range of coffee and English teas served with the traditional afternoon tea set. There was a time when Sheraton Towers was a haunt of ours for high teas as their cakes and desserts were among the best in town (especially their mudpies). Nowadays, their afternoon teas are only served in tiers in the lounge and no longer buffet-style in the cafe. Anyway, as there was a bunch of us, we also ordered two sets of the English afternoon tea set (SGD33++, pictured above). Not sure if they change the menu weekly but on our set we had scones, red velvet cake, mini apple crumble, lemon cheese roll and salty caramel cheese cake. The only savoury item was the pumpernickel with smoked salmon and cavier. These items weren’t bad but they weren’t something you’d like more of either. Most disappointing were the finger sandwiches of tomato/cheese and turkey ham/cucumber which used roughly cut, thick dry white and brown bread that didn’t make them appetising at all. Luckily, the pita bread with tuna was decent. Overall though, certainly not on par with other top hotels’ high tea offerings. Pity really. Thankfully, the Japanese afternoon tea set was unique and refreshing, and we wouldn’t mind having it again. Check it out if you haven’t try one before. 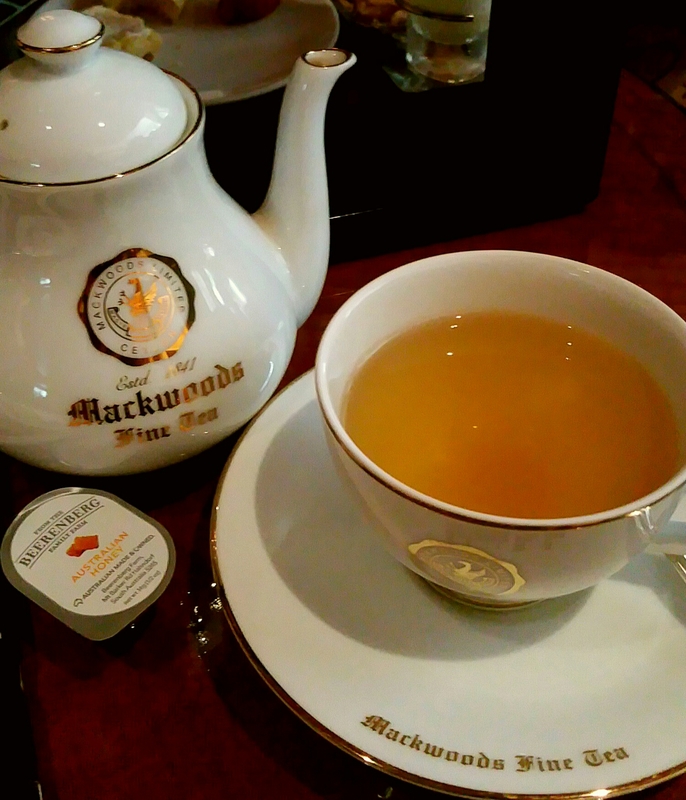 They have a SG50 promotion now on till August 31: Those aged 50 and above need only pay SGD20++ for either tea sets. Go on now, bring a senior (or yourself) and eat up for Singapore! This entry was posted in Grub & Grog, My Singapore and tagged English afternoon teas, high teas in Singapore, hotel afternoon teas, hotel high teas, Japanese afternoon tea set, Japanese high tea, Orchard Road afternoon teas, Orchard Road high teas, Sheraton Towers afternoon tea, Sheraton Towers high tea, Sheraton Towers Japanese afternoon tea, Sheraton Towers Japanese high tea, Sheraton Towers lounge, Sheraton Towers lounge afternoon teas, Singapore afternoon teas, sushi high tea.